For our first anniversary, we decided to publish a year-in-review for the benefit of our community and partners, to reflect on MaGIC’s mission, values and core activities. We’ve certainly learned a lot in serving our mandate. Employee #1, CEO Cheryl Yeoh, reports for duty. Knowledge is the foundation of success. Following the General Assembly model, we launched an international, scalable, and diverse education platform following a a 5-day workshop marathon in October to give Malaysians the skills needed to build successful, world-class startups. 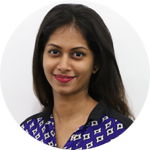 It’s critical that tech startups that have raised funding be put on the right path to grow aggressively enough, given the high cost of user acquisition and marketing expenses. We partnered with the global seed fund and accelerator 500 Startups to bring local founders together with the world’s foremost experts in web and mobile marketing to focus intensively on growth for two months as a pilot project. Project Cerebro was formally launched in August 2015 as Distro Dojo. Social entrepreneurship is gaining popularity fast, but still remains unfamiliar ground to many. MaGIC’s Social Entrepreneurship team embarked on a nationwide tour to discuss the challenges and opportunities faced by local social entrepreneurs. The National SE Blueprint was launched by Prime Minister YAB Dato’ Sri Mohd Najib Tun Abdul Razak. Ever had a business idea you wanted to bring to market but didn’t know how? We invited 5 faculty members from the Stanford Graduate School of Business to Cyberjaya to help local entrepreneurs commercialize their business ideas over one week of intensive workshops. 10 of the participants were later invited to pitch to a larger audience at the 1ASEAN Entrepreneurship Summit. Few people today would argue that Silicon Valley is home to the world's fastest growing and most ambitious startups. However, how do other ecosystems compare to the Bay Area? Boston? Tel Aviv? Singapore? Kuala Lumpur? We partnered with Startup Compass to produce Malaysia's first feature in the report, creating a baseline that can be used to improve the ecosystem and climb the ranks in years to come. Accelerators give companies access to expert advice, vital connections, and a community that knows what it’s like to build something from nothing. We launched the largest accelerator in South East Asia to make companies investment-ready in 4 months, and the first of its kind to have a separate track for startups and social enterprises. Building a great product can only take you so far. Today's founders understand that you can't grow a startup without a plan for distribution - and so after the pilot, codenamed Project Cerebro, in October 2014, we partnered with 500 Startups to help 7 ASEAN growth-stage companies meet and exceed their customer acquisition goals. An event so popular we had to do it again! 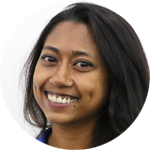 A four-day conference bringing international experts to Malaysia for discussions about product, distribution, culture, and fundraising - topped off with the nation's largest startup career fair. Great ideas can come from anywhere - and it's important that communities all over the country take action to drive social impact locally. Our SE team went on the road for 2 months to spark the flame of social entrepreneurship across 6 states nationwide, inspiring 30 new social enterprises by participants. South East Asia can feel like a maze for new founders, with different languages, cultures, financial regulations, visa processes and more. ACE partners with local operators to expedite the process of starting a business in countries throughout the region, making it easier for startups to scale. A thriving startup ecosystem deserves to be properly catalogued - for investors and the public to track the number of high growth startups in a country, records of funding raised, exit history, and their progress along their journey. We built the definitive database of the Malaysian startup ecosystem, allowing anyone to get information about the companies, people, products, news & events that matter. We signed a three-year partnership with the Stanford Technology Ventures Program, Graduate School of Business, and Center for Professional Development to expose Malaysian entrepreneurs and faculty to the same education environment that birthed many of the world’s most successful companies. The company has a global presence in 500 cities running Startup Weekends all over the world. Their Asia HQ will be based at MaGIC, where we will be working together to create a perfect staging ground for local entrepreneurs to validate and test their ideas. MaGIC works with 500 Startups to run Distro Dojo, a growth-stage accelerator program for post-Series A startups in Southeast Asia. In a nutshell, this means giving Southeast Asian startups the chance to spend weeks working with some of the most brilliant and experienced entrepreneurial minds on the planet. This government-led program resulted in a radical transformation of Chile's startup ecosystem. We worked closely with Startup Chile to model our own MaGIC Accelerator Program after their world-renown accelerator. MaGIC and CrunchBase have a partnership to share startup data between CrunchBase and our own MaGIC Startup Database. This will also gain local startups a platform for international exposure via TechCrunch, CrunchBase’s sister company and the world’s leading technology news outlet. Interested in learning more about MaGIC's role in the Southeast Asian ecosystem? Well you're in luck - we made a report just for you! Co-founded by Desmond Lee and Lim Jenn Yu, Appxplore Sdn Bhd is a games development studio that designs and develops games and applications for customers worldwide. AppXplore specializes in casual 2D and 3D games for social and mobile platforms, such as iOS, Android, Windows Mobile, and Blackberry. 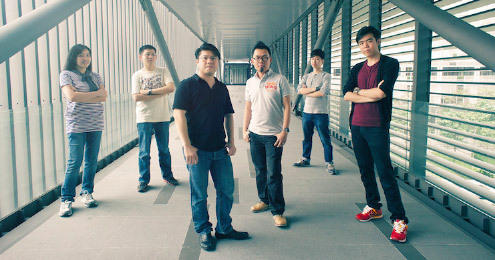 AppXplore is one of a handful of mobile games studios in Southeast Asia to have produced several games that have passed the one million downloads mark. 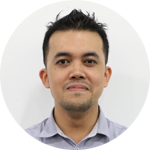 It developed the first Malaysian iOS game to be featured in Apple’s App Store and its most popular titles include Mobfish Hunter, Alien Hive, Sporos and Lightopus. In September 2014, Fatfish Internet Group acquired a 70% stake in Appxplore for an undisclosed sum in cash. CatchThatBus is an online travel agent (OTA) that specializes in bus-related travel in SE Asia. CatchThatBus provides consumers with the ability to browse options and purchase tickets from a range of trusted operators to over 500 destinations in Malaysia and Singapore via its website www.catchthatbus.com, the CatchThatBus Android app and network of trusted CatchThatBus agent counters. It also provides bus chartering and rental services for larger group/family trips. 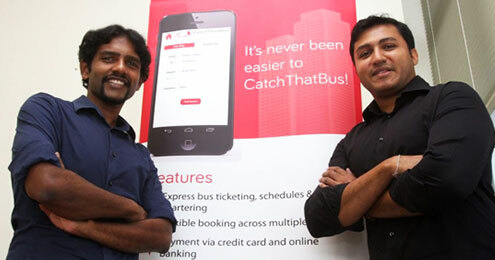 CatchThatBus was founded by Viren Doshi and Ashwin Jeyapalasingam in 2012. 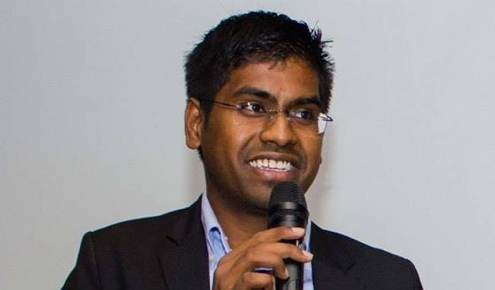 Cradle CIP150 recipient in 2012 and seed funding from Jungle Ventures in 2014. 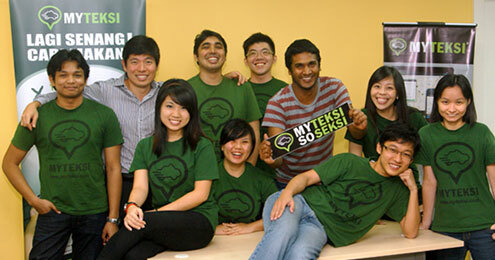 MyTeksi is the taxi app that has taken Malaysia and neighbouring members of the ASEAN bloc by storm in just two years. Legally regulated, safe and secure, it allows customers to order a taxi without the hassle of haggling or flagging down one off the street. MyTeksi is founded by Anthony Tan, together with his Harvard Business School classmate Tan Hooi Ling after their plan to revamp the Malaysian taxi industry won second place in Harvard's Business Plan Contest in 2011. The MyTeksi app was publicly launched on June 5, 2012, as the first such app in Malaysia and Southeast Asia to adopt a smartphone-to-smartphone technology for booking and dispatching cabs. To date, MyTeksi has received investments worth USD340 million including USD250 million raised from Softbank Internet and Media Inc in December 2014. 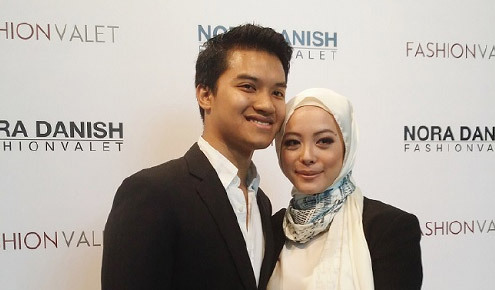 Fashion Valet is the brainchild of a husband-and wife team, Vivy Yusof and Fadzarudin Anuar. Fashion Valet was kickstarted with RM100,000 and launched in November 2010 with 10 local brands. Today the company has 30 employees and stocks more than 300 brands across Southeast Asia. In 2012, e-government service giant MyEG invested in Fashion Valet after the founders overcame 40 competitors to win the Make The Pitch knockout competition. MyEG invested RM1 million (US$326,580 at the time) for a 30% stake in the company. In March this year, the husband-and-wife team behind Malaysia’s online shopping destination FashionValet had much to celebrate about, announcing a multimillion-dollar investment led by Elixir Capital, a global private equity firm based in Silicon Valley, California. The investment will allow the brand to scale its operations to other Asian cities. INTI student Ganesh Muren devised a portable, solar-powered water filtration unit capable of providing up to 20,000 litres of low-cost, clean water as his final year engineering project. The modular unit employs a physical filter and UV light to make water safe for consumption. 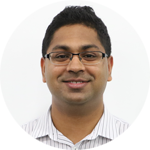 Ganesh has already been approached by several companies for commercialisation of the product. Following a highly competitive pitch competition organized by MaGIC, Saora Industries was among 20 high-potential local startups selected from a shortlist of 50 to participate in the e@Stanford Program in November 2014. 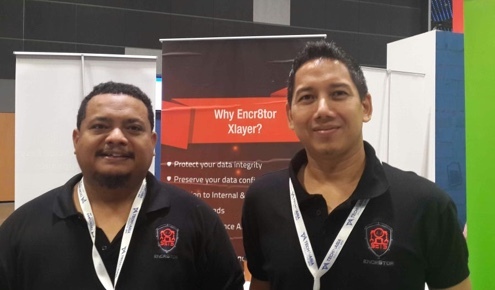 Encr8tor Technologies was founded by Megat Farril Robert Rizal and Rizal Alwani Mohamed Nordin. 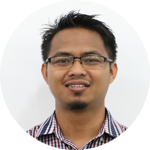 Encr8tor Technology Sdn Bhd is a data security company established with the main objective of securing and protecting data using 512 bit multi-layered encryption engine and authenticated secret/symmetric key infrastructure (SKI). Encr8tor creates the last line of defense for enterprises and organisations to bring back data privacy and security. Encr8tor has earlier secured its seed funding of RM500,000 and is currently riding the J Curve with the book order of RM600,000 for 2015. Encr8tor was also the winner of APICTA Awards 2014 for “Best Security Solutions”. Today I set my first foot into @cherylyeoh’s dream factory. Never would have imagined it but sure excited for what the future holds. I went to the MaGIC Academy Launch Advance Track for the past 5 days and am basically mind-blown away on how powerful and great the organization is! It is not only about their excellent instructors, mentors and speakers [...] my brain is literally bloated with all the new insights! From preparing the breakfast; considering on our comfort during the workshop; giving us extra info on the subjects; to arranging exposure with fund owners, I truly feel that I’m very well taken care of! The team has surely put in tremendous effort in making it a success. Congratulations MaGIC! It is wonderful that MaGIC, the government and the people are involved in building this ecosystem of Social Enterprise. They see hope on having sustainable impact while also building wealth through their businesses. I can see @MagicCyberjaya is doing their very best to nurture entrepreneurs in Malaysia. Efforts will not go to waste. 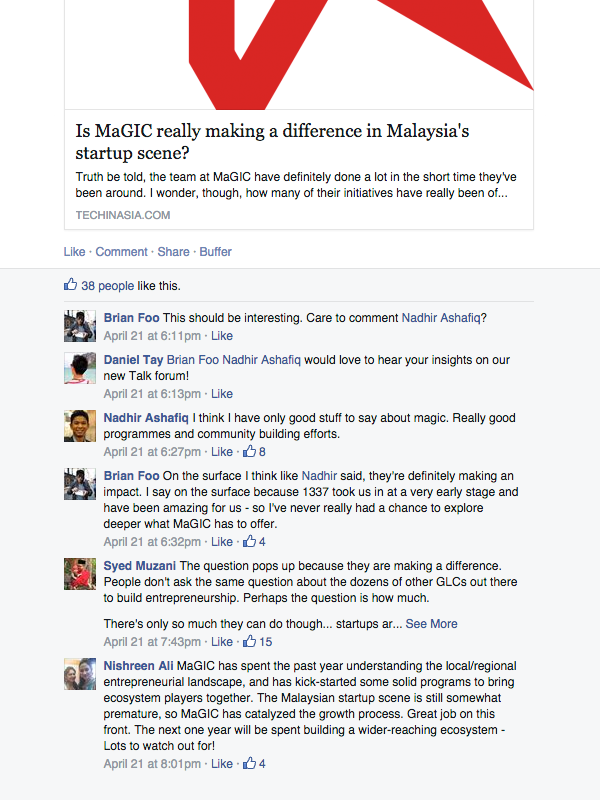 Not wanting to be left out, the StartupMamak Facebook Group passionately joins in on the conversation. You don’t know me, but I’ve attended several events at your office this year and they were all awesome. Here is a small token to say thank you for all that you have done for the startup community and here’s looking forward to more great things from MaGIC! It is really great for MaGIC to come out with a proper definition for SE. A lot of people have their own definitions and it is important to have a cohesive and wholesome definition that will move this industry forward in Malaysia. Keep being that inspiration to entrepreneurs and startups. The best is yet to come! 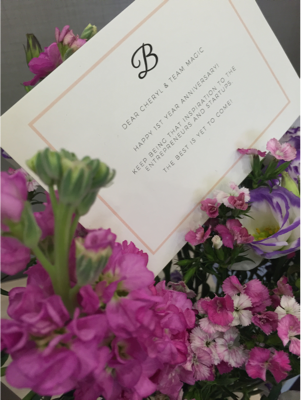 Thank you Cheryl for introducing us to Square [...] I know of your sacrifices in making a stand for Malaysian entrepreneurs and I want you to know that your efforts have already made a great impact. Thank you Han for making sure everything is executed well. You are indeed a good mom for all of us [...] I am sure that every one of us feels your sincerity and care. Thank you Jen for being you [...] You are an angel in disguise and every organization is lucky to have someone like you around. If this proves one day to be the turning point for our entrepreneurship ecosystem, I want you all to know that you are the catalyst for the change. This is not magic. This is real hard work. Kudos to the MaGIC team. Just thought that the MaGIC YouTube channel deserves way more views and subs - tons of useful resources inside! I'm doing interviews of social entrepreneurs right now and you wouldn't believe how many of them say things like "Besides for MaGIC, I don't know anyone else in government who is supporting social entrepreneurs." Amongst both entrepreneurs and social entrepreneurs, there is a real feeling that is *the* place you can go to to talk to people and learn stuff about starting your business. 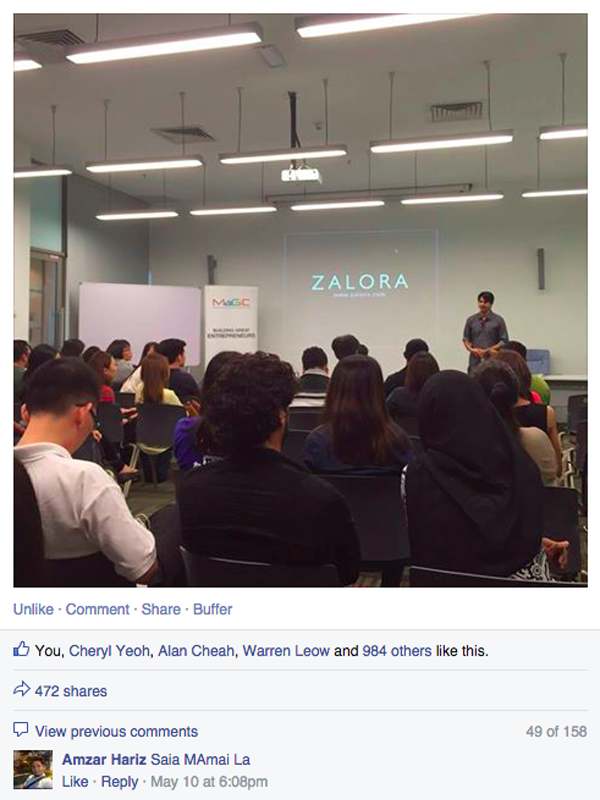 A Facebook post by an attendee of the MaGIC Academy: Zalora & The Malaysian Ecommerce Landscape goes viral with over 980 likes and 470 shares. When asked about their sleeping habits, 41% of the team identified as night owls, 33% identified as early birds, 22% identified as both, and one undisclosed team member identified as Batman. Sleeping habits of @MaGICCyberjaya staff: 41% night owls, 33% early birds, 22% both, 4% Batman The secret must be shared! 19% of MaGICians surveyed identified as extroverts, 16% as introverts. The remaining 64%, apparently, were too special to be neatly sorted into a category and chose to identify as ambiverts. @MaGICCyberjaya staff are 19% extroverts, 16% introverts, 64% too special for categories (but really ambiverts) I'm an ambivert! Tweet it! The MaGIC team is well caffeinated. 67% of the team drink at least one cup of coffee a day, 10% drink 3 or more. The @MaGICCyberjaya team is well caffeinated - 67% drink at least one cup of coffee a day, 10% drink 3 or more Wow! That's a Tweet! Before MaGIC, 33% of the team worked in corporate, 22% worked in a startup, 18% were in consulting, 14% with the government, 10% were students, and one was allegedly a US Marine, but we think he's actually a liar. Before @MaGICCyberjaya: 33% corporate, 22% startups, 18% consulting, 14% govt, 10% students, 1 US Marine #lies Got him! Tweet it out! 53% of the MaGIC team see THAT DRESS as white and gold, and 47% see it as black and blue. 53% of the @MaGICCyberjaya team see THAT DRESS as white and gold, and 47% see it as black and blue Show them! Show them all! Millennium Falcon or the USS Enterprise? 55% of the team prefer Star Wars, 22% prefer Star Trek, and 22% didn't get the reference and were sent to the corner to think about what they've done. 55% of the @MaGICCyberjaya team prefer Star Wars, 22% prefer Star Trek, and the remaining 22% are bad people I got the reference! Well travelled? 30% of the team have been to more than 10 countries. 19% have been to more than 20. 30% of the @MaGICCyberjaya team have been to more than 10 countries, 19% have been to more than 20 I've been to more! Despite initial suspicions, MaGICians actually reported an equal distribution of astrological signs, proving that magic does not belong to any specific part of the year. Hooray! @MaGICCyberjaya staff astrological signs are evenly distributed - no month is more magical than the others To astrological equality! Is MaGIC only focused on tech startups? What about all the other non-tech businesses like F&B, retail, agriculture, manufacturing, small businesses, etc? As part of our given mandate, MaGIC aims to empower high-growth startups that have the potential to build regional and global businesses - especially by leveraging the 600 million-strong ASEAN population right in our backyard. In our first year, we focused the MaGIC team’s combined skillsets on technology-enabled companies to achieve our goals of putting Malaysia on the map. At the same time, we paved the way for longer-term initiatives that would close the gap for companies not yet ready to adopt technology in their operations. Malaysia has an aggressive vision - she aims to become a high-income nation by the year 2020. A key part of that realizing that vision requires agencies like MaGIC to educate and encourage entrepreneurs to leverage technology and innovation in their business models and scale beyond Malaysia to remain competitive in the light of current global trends. That said, MaGIC welcomes startups from any industry. All our events are open and cater to various facets of growing a business. In fact, we do not see technology and ICT as a separate, distinct sector, but rather an enabler that can be applied to any type of business, including retailers, fashion, food and beverage, agriculture, manufacturing, and so on. But these companies must leverage technology to innovate and scale. 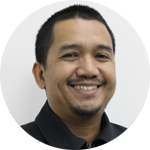 For example, GrabTaxi.com/MyTeksi, iKargo.com and TheLorry.com are examples of startups in the transportation or logistics industry that have leveraged technology to disrupt an existing business model. Our sister agency, SME Corp provides support to a broader range of small business owners across the country. Why is MaGIC only serving entrepreneurs in Cyberjaya or Klang Valley? We are physically located in Cyberjaya and as such, entrepreneurs in Klang Valley gain automatic exposure to the events and activities we organize. However, in 2014 MaGIC took significant strides as part of our outreach programs to go outside of Klang Valley. The MaGIC Academy team hosted workshops on Social Media Marketing, Brand Strategy, Visual Design, Beginner HTML5, Internet of Things (IoT) and Social Entrepreneurship in cities nationwide. In 2015, we are looking to establish ties and foster an entrepreneurial presence in states such as Kelantan, Perak, Melaka, Johor, Sabah and Sarawak. We also have a 3-year partnership with UP Global to conduct 73 Startup Weekend hackathons in all 14 states by 2017. Cyberjaya, however, will continue to be developed as the primary entrepreneurial hub of Malaysia. This is to ensure foreign VCs and investors have a primary point of contact when looking to invest in local startups. The single hub model has been a core catalyst of success around the world - Silicon Valley in the US, Block 71 in Singapore and Santiago in Chile - and we are looking to emulate that model here. Building a successful ecosystem takes time, and more just a physical location. Through MaGIC Academy, we are looking to create and spread a localized, digital knowledge base that can be accessed and utilized by entrepreneurs all around the nation. Our YouTube channel now has almost 120 hours of high-quality content and over 15,000 views. This remains our larger goal - knowledge transfer that crosses borders, and something that MaGIC will invest a lot of time and resources in during our first few years. Ultimately, the success of a startup ecosystem relies on like-minded people and the human capital we can attract. With the MaGIC Accelerator Program (MAP) bringing in a critical mass of 75 new startups from all around ASEAN to Cyberjaya for four months at a time, twice a year, we’re confident that regional investors will acknowledge Malaysia as the center of high-growth entrepreneurship in the ASEAN region. Why is MaGIC based in Cyberjaya? Cyberjaya is part of the nation's Multimedia Super Corridor (MSC) initiative and an integral part of Malaysia's infrastructure, built to realize Vision 2020. MaGIC is a key piece of the plan to cement Cyberjaya’s role as the go-to knowledge and technology hub in the country. Our Cyberjaya facility is equipped with best-in-class equipment and infrastructure that allows us to cater to crowds of various sizes. 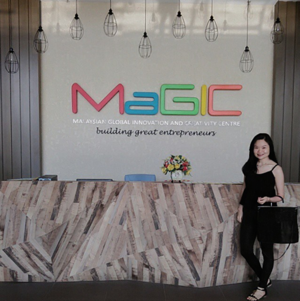 MaGIC was built with the vision of providing coworking and acceleration space for entrepreneurs - allowing people to rapidly create, test and iterate on their ideas and products - and also to build a community of like-minded people who can form synergistic relationships and build great companies. 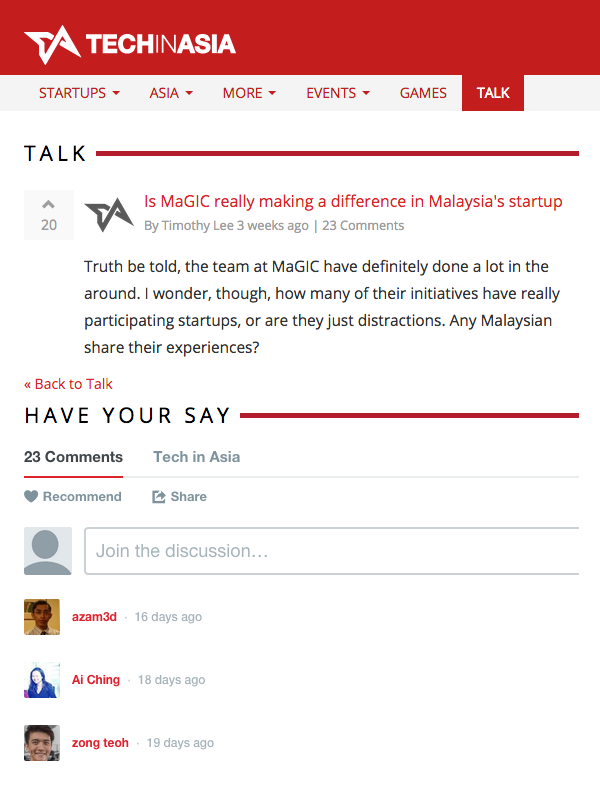 How is MaGIC different from all the other entrepreneurship agencies in Malaysia? MaGIC aims to be the uniting platform of the local startup ecosystem. We do not believe in reinventing the wheel and strongly believe that we need to emulate what has worked and improve on what has not. This is the core philosophy guiding our planning and operations. Instead of traditional brick and mortar SMEs, service-based industries, listed companies and so on, MaGIC is more focused on developing and supporting high-growth startups from a variety of industries with the potential to scale regionally or globally. This is also why MaGIC does not have a grant scheme for entrepreneurs, as Cradle does. Our focus is on empowering the ecosystem and serving as a launchpad for local entrepreneurs to gain access to regional and global players. To not just learn, but actively share their products, services and capabilities with the world. MaGIC works closely with MDeC, which oversees the development of MSC Malaysia and the national agenda for enhancing Malaysia’s status as a global hub and preferred location for ICT industries. MDeC’s role is far broader, ultimately seeking to enhance business productivity and improve standards of living by spurring Malaysia’s ICT industry development and digital economic growth. MaGIC is also one of a few government agencies mandated to develop the nascent social entrepreneurship ecosystem in Malaysia with the support of youth volunteer agency 1M4U and MyHarapan. Our scope does not overlap with other agencies but instead encourages collaboration between MaGIC and other agencies to create a vibrant local entrepreneurship ecosystem, invite foreign investments, and encourage global market penetration. As detailed in the report, we have established many partnerships in our first year with organizations that have a successful track record developing startups. Since MaGIC is under MoF, does this mean you have an unlimited budget for all your programs? No, like any other government agency, a budget is allocated for our programs and operating expenses. This is a rule applicable to all government department and ministries. Like any startup or business, MaGIC has limited runway and pre-agreed upon requirements and success criteria. We have to justify our spending and show that we have earned adequate quantitative and qualitative return on investment. We prefer it this way because we want to be bound by the same rules that we preach to our entrepreneurs. We are responsible for updating various stakeholders, including the Prime Minister, on the progress of the organisation and if we are on track to achieving our goals – which directly contribute to the nation's agenda of becoming a knowledge-based economy and high-income nation by 2020. Is MaGIC giving out grants to entrepreneurs? If not, what is the budget being used for? MaGIC is not a funding agency, which is the domain of agencies such as Cradle, MAVCAP, Teraju and MDV. We are looking to implement a different model that has been tried and tested in other ecosystems similar to ours - a knowledge platform archetype, one in line with the nation's core focus. Our budget is used primarily to create, organize, and iterate on foundational programs that focus on the various facets of building a business - such as customer validation, product development, growth marketing, fundraising, regional marketing and branding. These programs require intense planning and cross country partnerships that need to be initiated, formulated and implemented locally. Most of our resources are consumed by these efforts. MaGIC also provides infrastructure to create a sense of community among entrepreneurs. This includes our coworking space, academy training rooms, a 200-person accelerator space, and an auditorium where entrepreneurs can pitch to investors. Thank you so much for checking out our impact report! Now that you've reached the end... What do you think?